With the advent of packet-aware SONET/SDH and OTN add-drop multiplexers—including multiservice transport platforms (MSTPs) and new reconfigurable add-drop multiplexers (ROADMs)—system verification test (SVT) and R&D teams must perform not only traditional SONET/SDH and OTN tests, but also packet-based services verification such as Ethernet, 10 Gigabit Ethernet and Fibre Channel running over the same network elements. This has resulted in a growing demand for multitechnology test solutions that support the stringent testing and troubleshooting routines necessary to validate these advanced network elements. 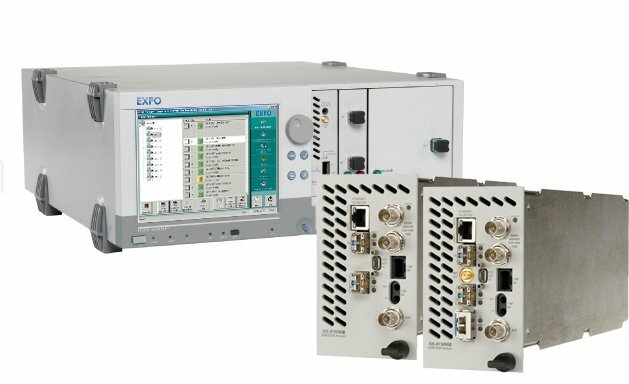 EXFO's IQS-8120NGE (2.5/2.7 Gbit/s) and IQS-8130NGE (10/11.3 Gbit/s) Power Blazer test modules have been designed to specifically address such testing, troubleshooting and maintenance requirements, providing SONET/SDH, OTN, Ethernet and Fibre Channel test functions in the industry's smallest and most efficient form factor and setting a new standard for multiservice testing.